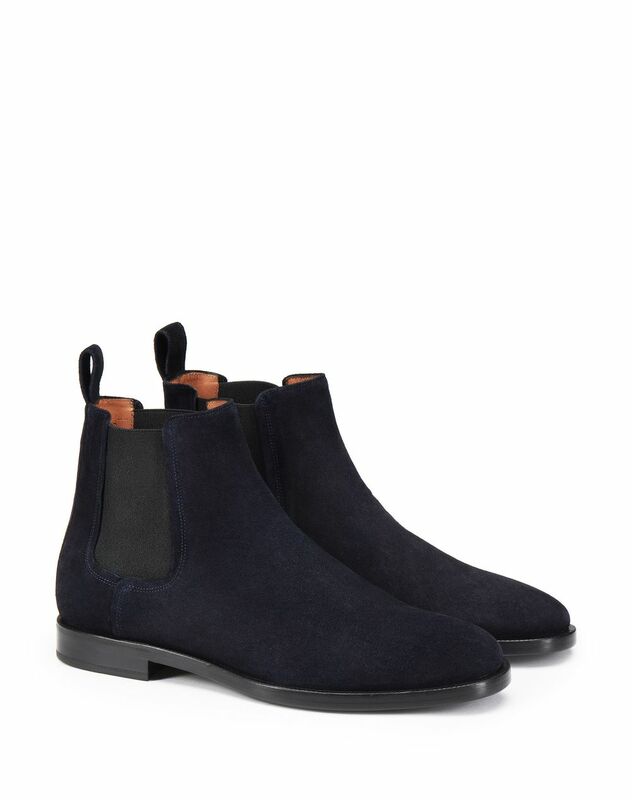 Navy blue Chelsea boot in calfskin leather, pull tab, brown 100% calfskin leather lining with logo, and black leather sole. 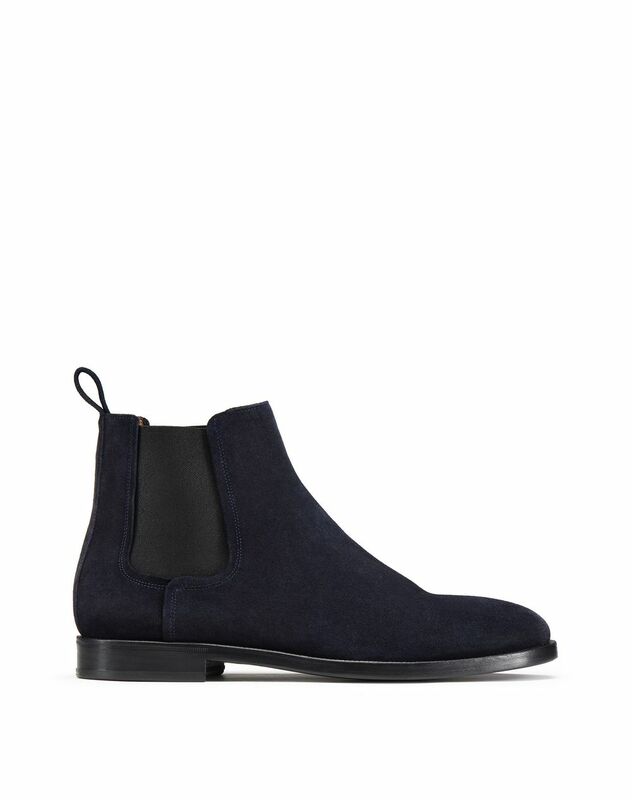 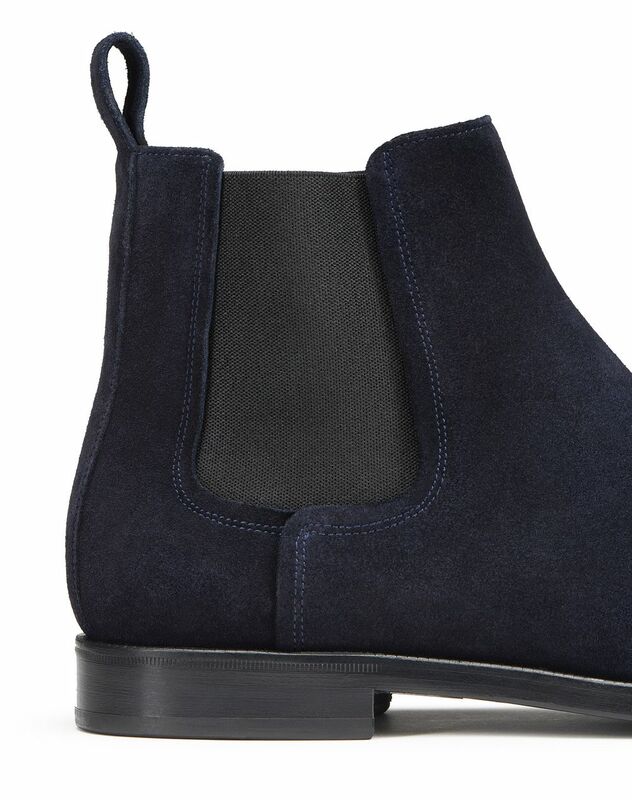 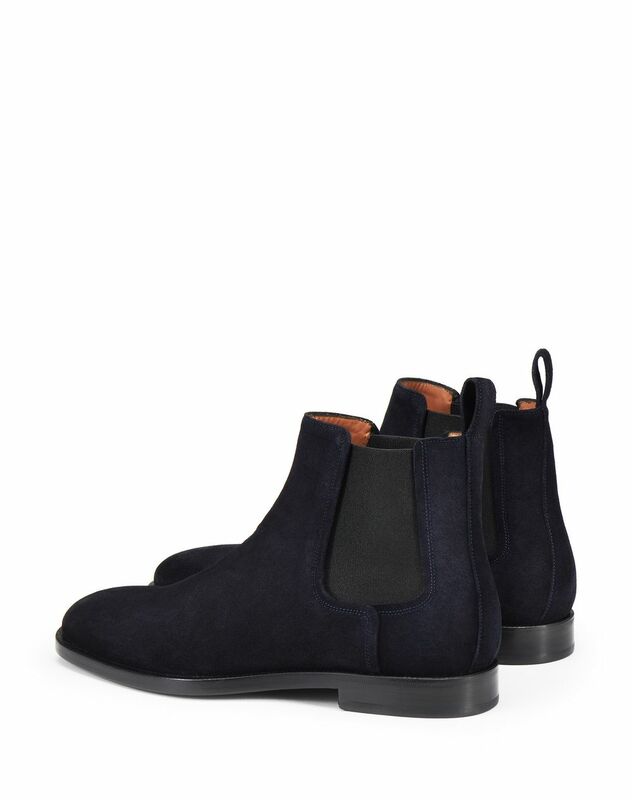 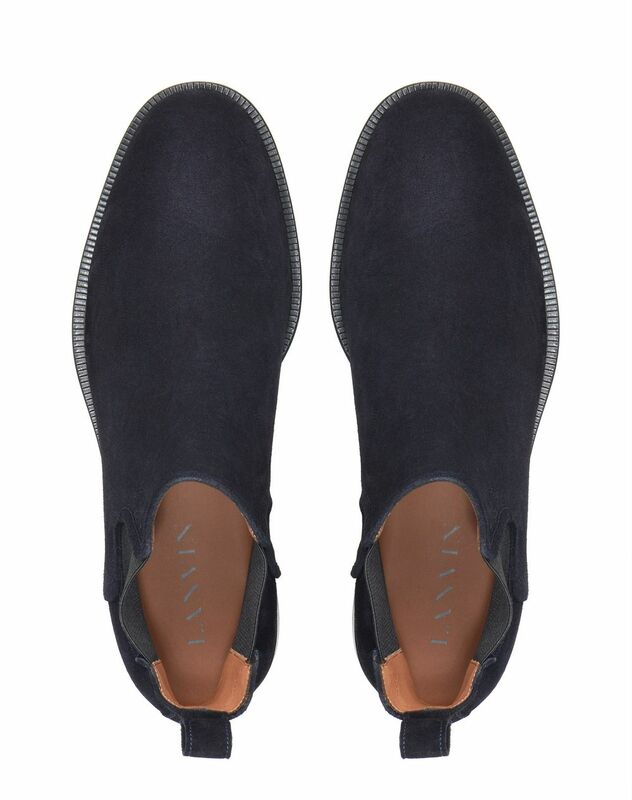 A male wardrobe essential, this navy blue leather Chelsea boot stands out for the subtle and elegant contrast of its materials. 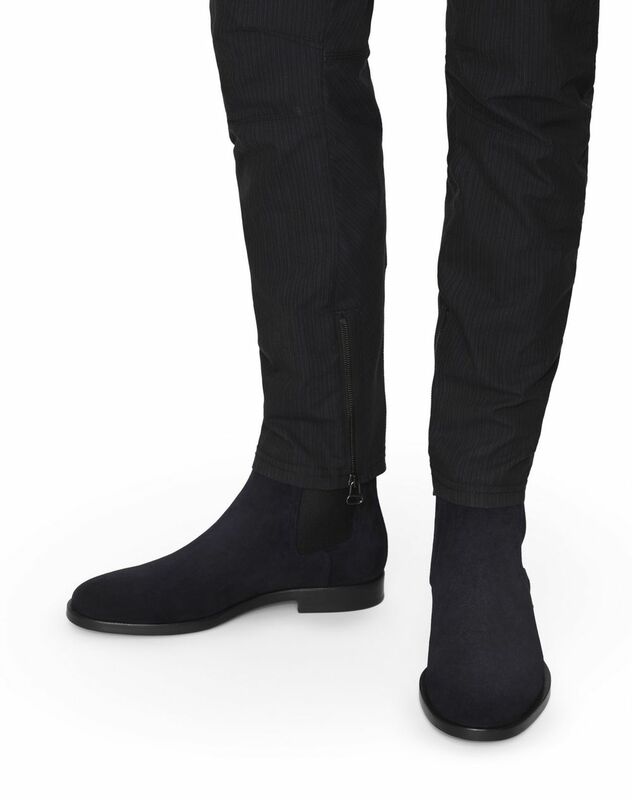 Its timeless silhouette ensures sophisticated and contemporary flair.